Questions2Learn helps students understand and learn how to answer functional who, what, where, and when questions. 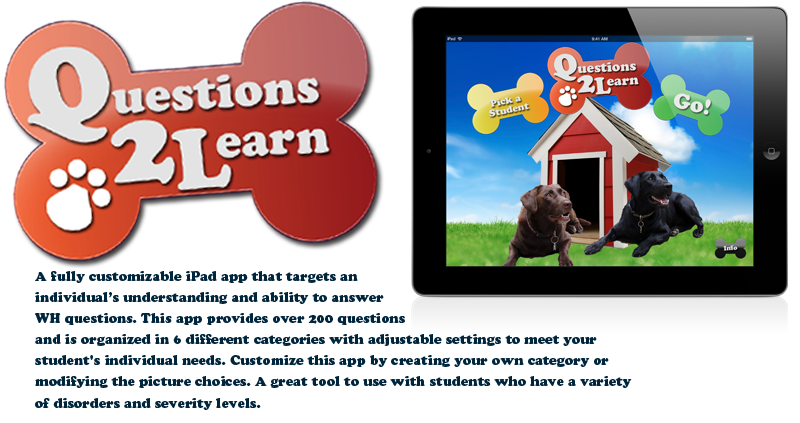 The Speech Pups, Moca and Dakota, will reinforce your students while they answer questions! Choose a category that you want to answer questions from: school, home, food & drinks, health, community, and leisure/recreational. We decided to develop Questions2Learn in May 2011. My favorite feature is the customize feature which allows the user to create personalized question categories and modify the picture choices. The reinforcement page with my dogs Moca and Dakota popping up. 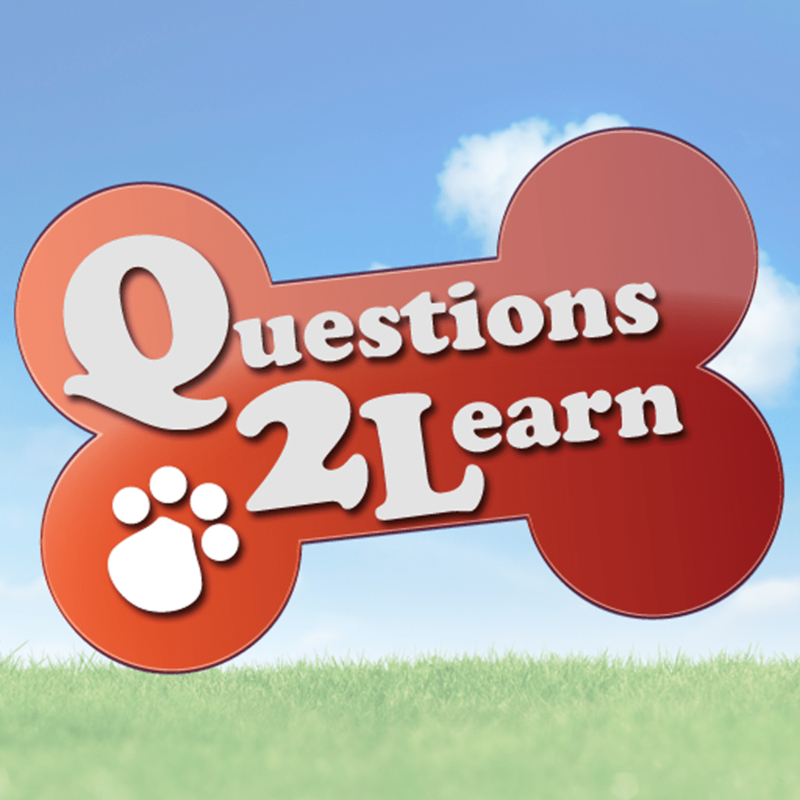 Question2Learn helps individuals who have difficulty understanding and answering who, what, where, and when questions. The age range is from age 3 to about teenager level, depending on the developmental level of the child. If a teenager is performing at a lower developmental level then it would be appropriate. I use my app with children who are teenagers and have multiple disabilities and/or are non-verbal. Yes an update is coming out in a couple of weeks to fix an issue. After the holiday break I hope to work on an update that adds more features and ideas/feedback I have received from those who have bought Questions2Learn.